Here's the real story behind Ben Carson's quixotic run for president. Republican presidential candidate Ben Carson and his wife, Candy, earned between $8.9 million and $27 million in a recent 16-month period, largely fueled by book royalties, speaking engagements and Mr. Carson’s service on the board of directors for two big companies. The figures were included in Mr. Carson’s personal financial disclosure, a copy of which was viewed by the Wall Street Journal. From the start of 2014 through May 3 of this year, Mr. Carson delivered 141 paid speeches, earning just over $4 million, according to the disclosure. Since announcing his campaign last month, the retired neurosurgeon has continued to deliver paid speeches that were contracted prior to his candidacy, his spokesman said. 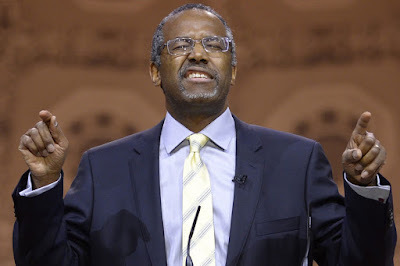 Mr. Carson will deliver four more speeches this year, the last one in November. Mr. Carson earned between $2 million and $10 million over 16 months serving on the boards of Kellogg Co. and Costco Wholesale Corp.—positions he resigned after launching his candidacy. He also earned between $1.1 million and $6 million in book royalties, and drew between $200,000 and $2 million from his positions as a contributor at the Washington Times and Fox News, according to the disclosure.